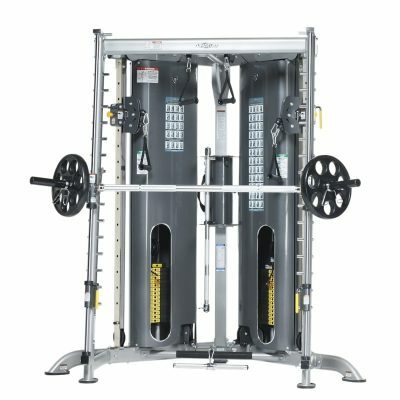 The TuffStuff Smith Machine / Half Cage Combo (CSM-600) is a free-weight half rack combined with a self-aligning linear bearing Smith Press system in one machine. 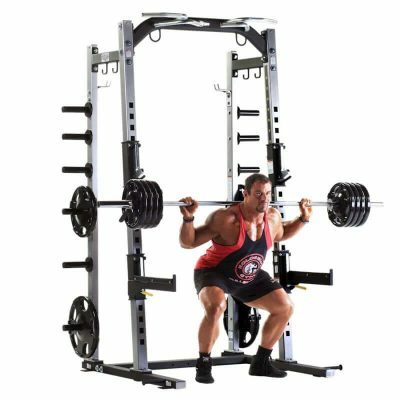 The Smith machine / Half cage includes integrated safety stoppers, a built-in chinning bar, Olympic bar holder and weight plate storage. 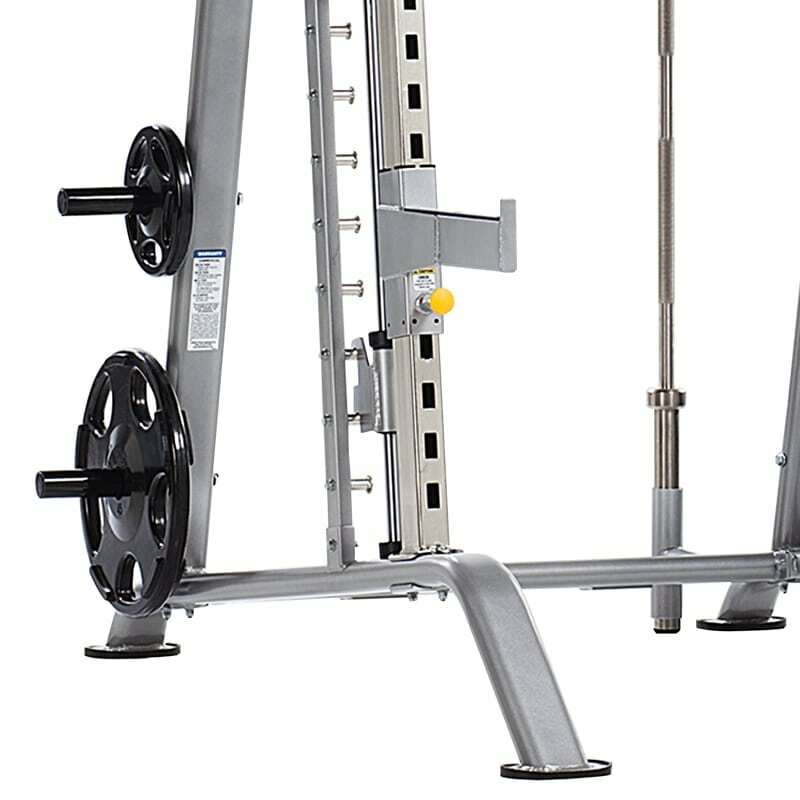 The 7-degree slant Smith system design with an oversized aluminum bar allows for natural body movement and easy gripping. Wide base accommodates benches, wheelchairs and accessories. 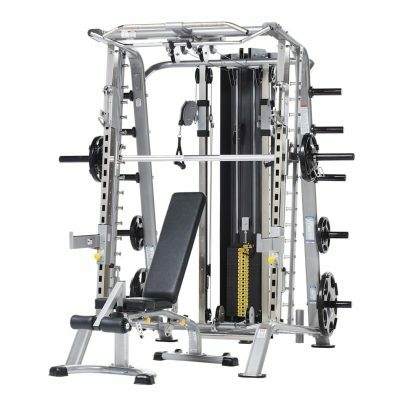 TuffStuff’s Evolution Smith Machine / Half Cage Combo (CSM-600) with safety stoppers includes a free weight half-cage and smith press system in one machine. 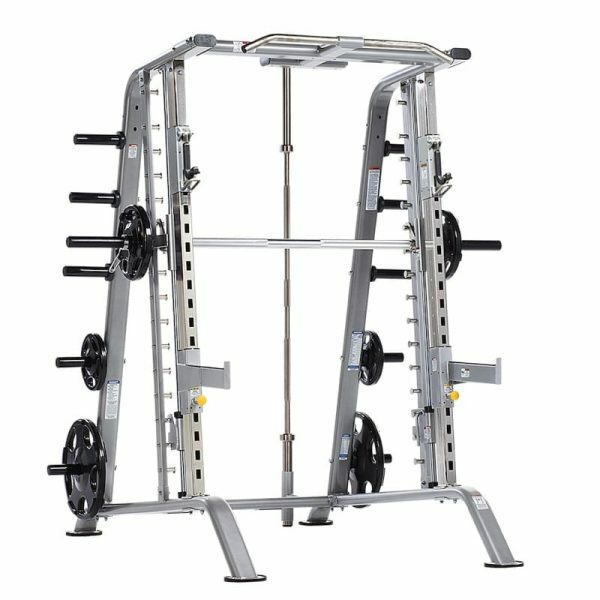 The basic Smith Machine / Half Cage offers exceptional quality and design with a great variety of workout options. 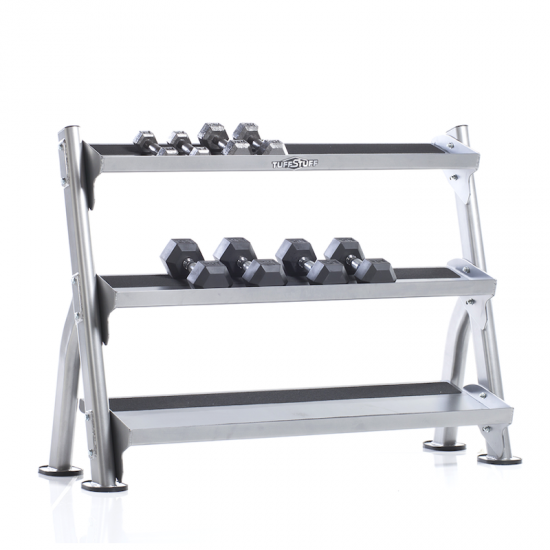 Featuring a 7-degree slant Smith system with oversized aluminum bar (starting weight 28 lbs.) for easy gripping, built-in plate storage and a welded pull-up station. 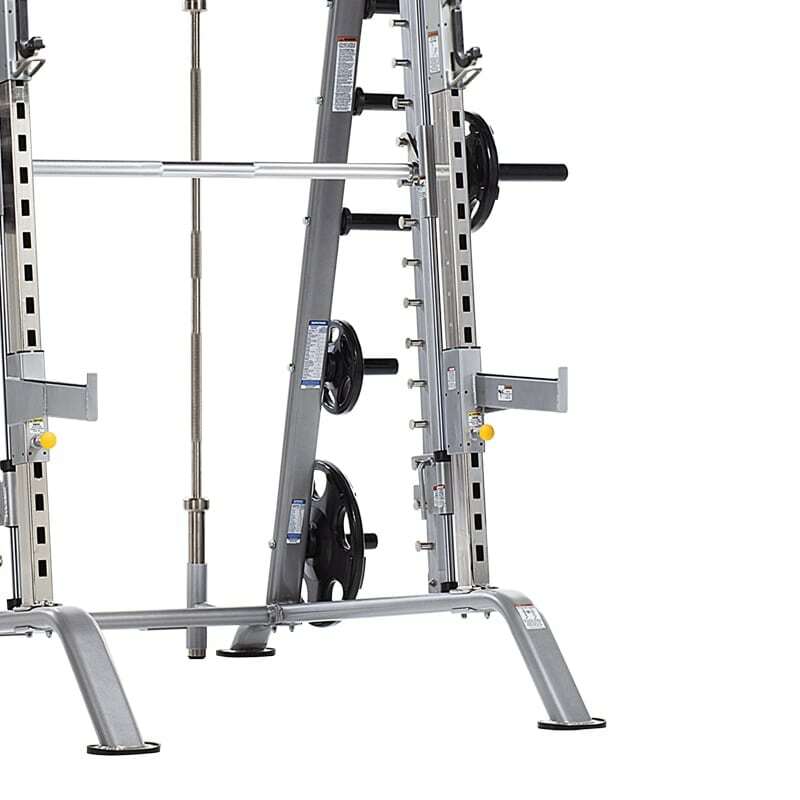 These features, combined with a free-weight half rack makes the CSM-600 perfect for the serious lifter. 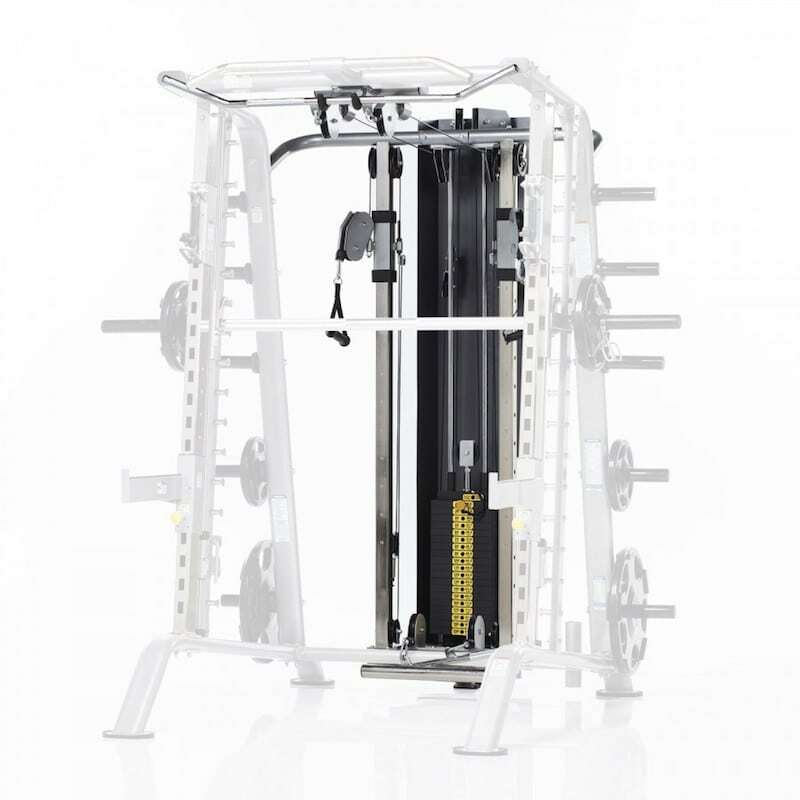 The Evolution Smith Machine / Half Cage (CSM-600) is the base unit for the fully loaded Smith Machine / Half Cage Ensemble (CSM-725WS) and can be expanded into the full system at any time. The build-out to the full ensemble includes adding the high/low pulley system with 200 lbs. 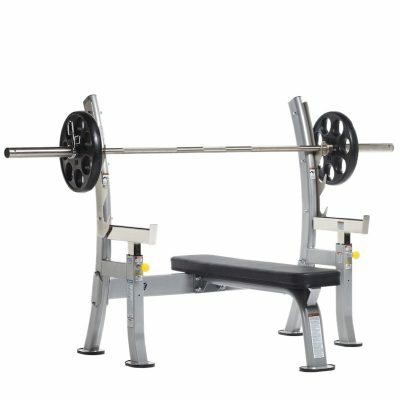 weight stack (CHL-610WS) MSRP + $2,289.00; the accessory storage rack (CAS-600) + $159.00; and TuffStuff’s Multi-Purpose Bench (CMB-375) + $699.00 MSRP. TuffStuff's high/low pulley system with 200 lbs. 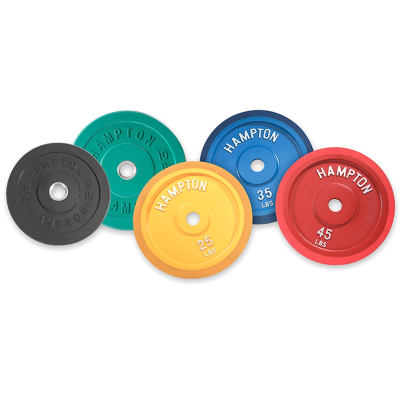 weight stack (CHL-610WS) + $2,289.00 USD.